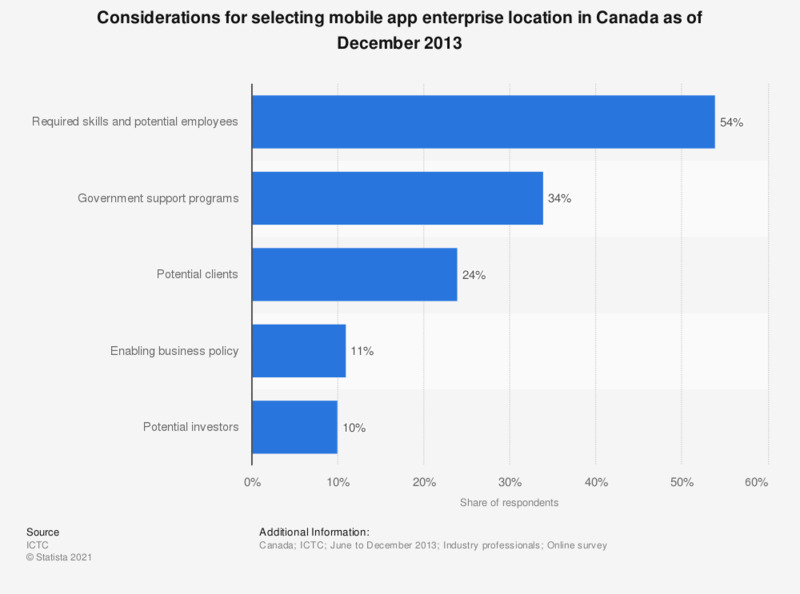 This statistic shows the responses to a survey about mobile apps in Canada as of December 2013. During the reported period, 54 percent of respondents stated that the ability to find the required skills and potential employees were a factor in selecting a mobile app business location. How much would you be willing to pay for a mobile application if it was a one-time payment?